When a centrist-led handful of House Democrats released a letter on Monday announcing that they would refuse to vote for Nancy Pelosi as Speaker of the House, it revealed that they had a problem: Congresswoman Marcia Fudge, the only potential Pelosi challenger they could find, hadn’t signed it. Sure enough, Fudge announced today that she was endorsing Pelosi. 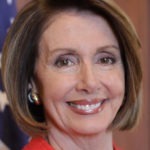 So how did Pelosi pull it off? It’s not that centrist Democrats Tim Ryan and Seth Moulton truly wanted Marcia Fudge to be Speaker; it’s just that they’ve long wanted to topple Nancy Pelosi, and in the current climate, they know they can’t challenge her from her right. So instead they’ve been trying to find someone, anyone, to challenge Pelosi from the left. Fudge was the only one who seemed interested in taking them up on it. But in hindsight, it appears that Fudge simply realized she could use them to get the one thing she truly wanted. If you look at Marcia Fudge’s recent public remarks, it’s clear that she considers African American voting rights to be a priority. And if you look the blatantly racist voter suppression that just happened the midterms, it’s easy to understand why Fudge justifiably sees this as such a priority (as should we all). Nancy Pelosi, who always manages to get straight to the salient part, figured out that she could get Fudge on her side, simply by reinstating the subcommittee on elections (which the GOP had gotten rid of), and by making Fudge its Chair. Congressional movement is based on wheeling and dealing in general. But this wasn’t simply a matter of Nancy Pelosi giving Marcia Fudge something to get her on board. Pelosi knows how crucial it is, both for the Democratic Party and for the good of America, to crack down on racist voter suppression. Fudge considers it to be a huge priority, so she’s clearly the right person to lead the charge. And because this is a subcommittee that hasn’t existed for years, Pelosi isn’t taking the job away from someone else to give it to Fudge. This is precisely what congressional wheeling and dealing should look like. It’s a reminder that Nancy Pelosi knows how to get members of Congress on her side, and she knows how to go about it in the right way. It’s precisely what the Democrats needs in a Speaker of the House – particularly at this crucial time in which Democratic-controlled House committees are about to be tasked with working together to blow open every last one of Donald Trump’s criminal scandals.